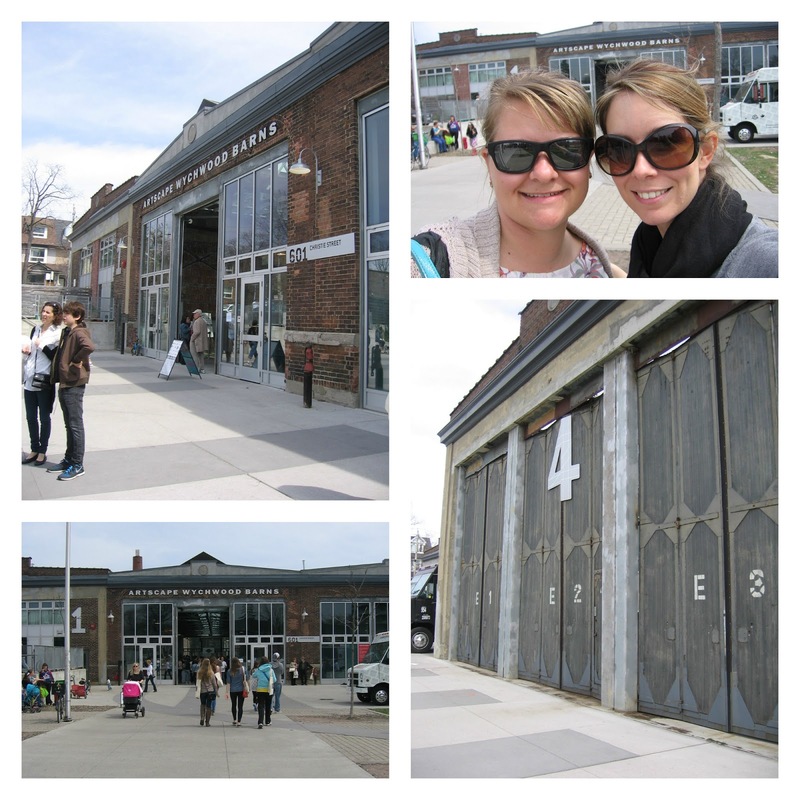 This past Sunday, my gluten-free bestie Megan and I went to the Gluten-Free Garage at the beautiful and rustic Artscape Wychwood Barns in downtown Toronto – one of my favorite venues in the city! This former streetcar facility is filled with rustic charm and industrial accents. It is one of the most unique venues in the city and I love it. 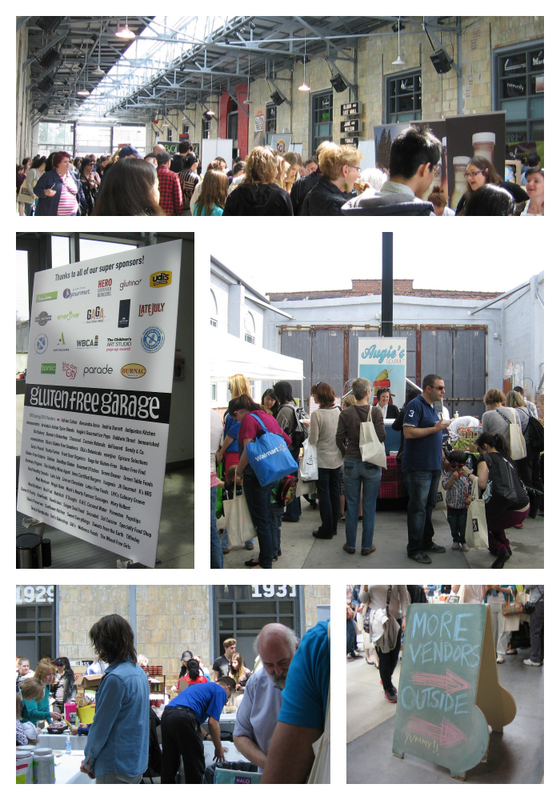 This marketplace event was put together by the wonderful crew at Gluten-Free Garage. The marketplace featured dozens of local gluten-free and vegan shops, bakeries and restaurants. Let me tell you, it was a good thing that I showed up hungry because everyone was handing out samples and they were soooo good! 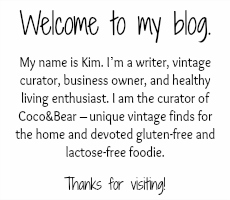 When you are gluten-free, it can sometimes be hard to find new and yummy foods, so having this many vendors in one space was really exciting for us! We met some amazing vendors who offered some very tasty gluten-free options including soups, cakes, spices, dressings, crackers and yes… even a cinnamon bun!! Of course, I HAD to have one and man, was it ever good. I thought I would share with you some of our favorite vendors from this event! For many of us who are gluten-free, we suffer from digestive issues which can keep us from enjoying many delicious foods. A year ago, my brilliant naturopath suggested that I try drinking Kombucha juice – a raw, organic drink - as a way to strengthen my digestive system. It has now become a daily drink for me and one which I crave because it taste so good! Megan and I both tried Tonica’s Mango Passion Kombucha drink and loved it! You can find this refreshing drink at many health food stores across Canada. Megan and I recently took a girls vacation to Mexico. Almost every day we found ourselves pigging out on fresh salsa – made that morning with fresh tomatoes, onions and of course, a whole lot of cilantro and lime juice. We have been craving it since we came home and find that the jar varieties just aren’t as good. Once we tried the Mad Mexican’s salsa which is all natural, handmade, preservative free and of course, gluten-free, we were immediately brought back to Mexico and just had to buy some. I promise you won’t regret this purchase! Mad Mexican salsa can be found at many health food stores in Southern Ontario or at their location in downtown Toronto. When we walked up to this booth, all Megan and I could say to each other was “there is no way all of these treats can be gluten-free”. We were convinced that the gewwy, sticky, icing lathered, mouth watering cinnamon buns HAD to be made with wheat and the icing with milk. Well, I was so happy when they said that they were 100% gluten and dairy free (O-M-G). This stop made the whole trip worthwhile – yes, that is how good this cinnamon bun was – as you can see in the picture above as I’m stuffing it in my mouth. Bunner’s is a 100% vegan and gluten-free bakery in Toronto. You must try it! Mmm cinnamon buns and I am embarrassed to admit that I have no salsa left... it was that good!